Nadi, Fiji – The Pacific RANET Working Group in collaboration with the Fiji Meteorological Service (FMS) has undertaken the 2nd Regional Training on the installation and maintenance of High Rate Information Transmission (HRIT) / Emergency Manager’s Weather Information Network (EMWIN) systems scheduled for January 7-11, 2019 at the FMS headquarters in Namaka, Nadi. The training was officially opened by Pacific RANET Working Group Representatives Mr. Martin Steinson of University Corporation for Atmospheric Research and Ms. H. Gingerlei Porter of the Pacific International Training Desk at the University of Hawaii; and Computing Manager for Fiji Meteorological Service Mr. Adarsh Kumar, Monday, January 7th, 2019. Training is aimed to allow meteorological and disaster communications technicians and technical personnel to install and maintain ground receiving stations for information broadcasting from GOES-17, the US NOAA/NWS weather satellite, for monitoring and forecasting severe weather in the Pacific Region. GOES-17 includes high resolution imagers capable of multi-band, high resolution, and high frequency observation for severe weather like lighting and tropical cyclones. 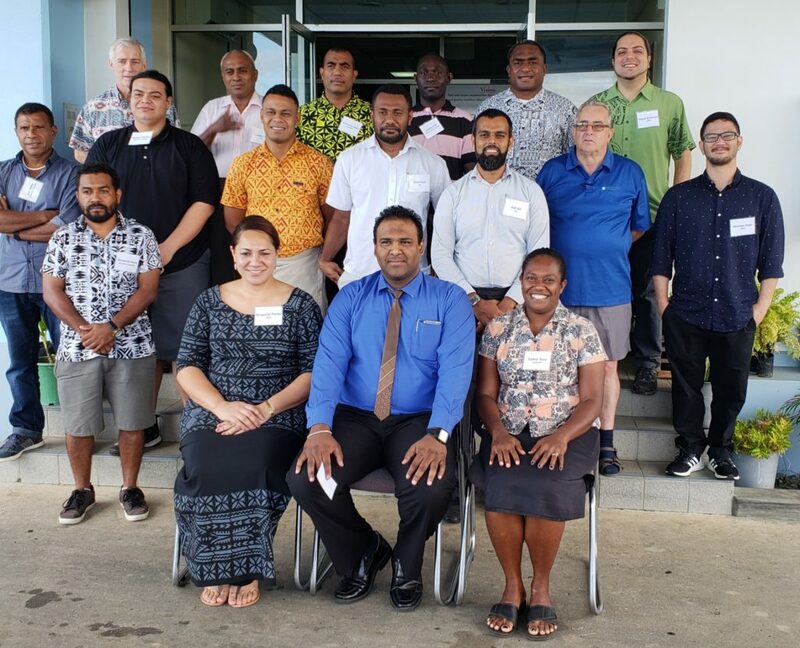 A total of 16 trainees from various regional National Meteorological Services (NMSs) and Disaster Management Offices including American Samoa, Fiji, Kiribati, Papua New Guinea, Samoa, Solomon Islands, Tuvalu and Vanuatu are in attendance. Mr. Adarsh Kumar, on behalf of FMS and the Ministry of Rural and Maritime Development, National Disaster Management and Meteorological Service welcomed the trainees and emphasized the importance of training and systems and technical support services to the work of forecasters and disaster managers. Our vision is to create “safe and secure communities through the provision of dynamic and quality weather, climate, and hydrological services and your role through the installation and maintance of these systems supports materializing that vision,” says Mr. Kumar. Fiji Meteorological Service, being a Regional Specialized Meteorological Centre (RSMC) and a Tropical Cyclone Centre (TCC) plays a vital role not only in providing the daily weather bulletins to the regional countries, but also assists in the training and capacity building of the meteorological service and disaster management staff across the Pacific. The EMWIN/HRIT Upgrade Training is funded and supported by the US Agency for International Development (USAID) and the US National Weather Service Office of International Activities and implemented through the University Corporation for Atmospheric Research (UCAR) and various partners including the Pacific RANET Working Group and the University of Hawaii. 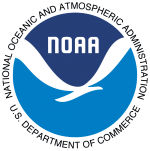 Special Acknowledgements: Special acknowledgment for individuals and organizations key to this project: Mr. Dan Beardsley (NOAA/NWS OIA); Dr. Rich Jeffries (UCAR); Ms. Andrea Smith (UCAR); Ms. Tara Torres (UCAR); Ms. Auliya McCauley-Hartner (UCAR); Mr. Edward Young (Retired Deputy Director of NOAA/NWS Pacific Region); the late Kelly Sponberg (UCAR); UCAR/COMET; NOAA/NWS Pacific Region Headquarters; Pacific International Training Desk (PITD) and theTelecommunications and Social Informatics Research Program (TASI) at the University of Hawaii at Manoa.